What was Hitchcock's Greatest British Film? Rich cites such virtues as its immaculate timing, delicacy, and danger as evidence for its greatness. Absolutely. 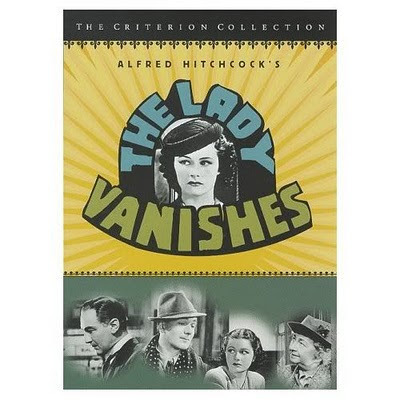 The Lady Vanishes is also, possibly, the slickest of his British films. But these are mostly professional considerations, pointing to his accomplishment at mastering the craft of film. Technique is important, but sometimes skillfulness can actually distract from an art form’s artfulness. I prefer works that go for broke and hence might have a rough texture. They're the ones that thumb their nose at conventions and morals (and often the box office), because the artists behind them have stepped through the veil of accepted paradigm to see something that no one else sees. Case in point: Vertigo, Hitch's most sublime film. Yet, for all of its layers of depth and brilliant craftsmanship, some of the dialogue and the situations don't hold up too well. Such is the nature of fevered audacity. You have to be a little crazy to make bold artistic moves, and that hint of insanity becomes part of the fabric of the finished product. 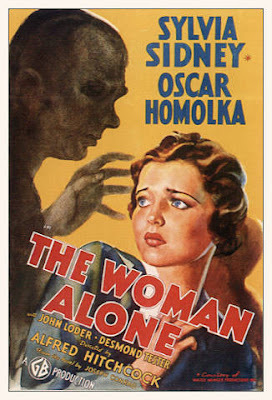 Based on that criteria, I don’t think The Lady Vanishes was his "best" movie — and it certainly wasn’t the first "Hitchcock" film – that is, it didn’t, delve, as Rich states, "more deeply than ever before into the anxieties and secret terrors of prewar English society. "Although it’s a tough call, I think the honor of Best Film from Hitch’s British Period goes to Sabotage. Sabotage was originally released as The Woman Alone in the United States. Sabotage is just about the most disturbing movie he made until Psycho years later. (It’s the one in which he bombs young Stevie and his dog to death.) It's also passionately at work on many levels, many of them groundbreaking. Unlike The Lady Vanishes, Sabotage isn't for everybody. It's coarse, even sadistic. But I think that's one of its virtues. It deals with the acts of political sabotage (what we would now call terrorism) that were then being wreaked upon England during Britain’s "appeasement" years prior to World War II. It delves very deeply — and with urgency — into "the anxieties and secret terrors of prewar English society." Stevie on the bus just before he and the puppy on the seat next to him are blown to pieces. With its death of Stevie and its ambivalent characterization of terrorists, Sabotage reminds me of Hitch's comments about another controversial masterpiece, Rear Window, in which he stated that "no amount of moral consideration could have prevented me from making this." It's a movie that is as relevant in the post-9/11 world as it was in 1936. If we were to take a vote, I'd say that Sabotage is his greatest British film. I agree with you about Sabotage. I don't even think it's a tough call. It's far and away the best picture he had made up to that point, and better than anything else he made before Rebecca. The real tough call is: What's Hitch's greatest American film? I'd nominate 7 contenders, but I can't single one out: Shadow of a Doubt, Notorious, Vertigo, North By Northwest, Psycho, The Birds, and Marnie. When I was a young man, Vertigo topped them all in my young man's opinion. At that time I over-identified with Scottie. Since then, the other 6 films I listed have increased in my estimation. I also posted the comment affirming Mr. Gunz' opinion of Sabotage. Thanks for both of your comments -- and for the very kind words! 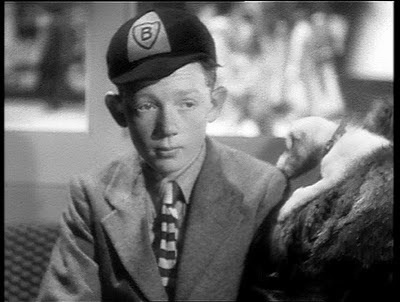 I can identify with your "over-identification" with Scottie Fergusen -- although I think it's entirely justified. He is a universal character, and Hitchcock certainly set things up so that we (men) would identify with him. My own experience and that of countless others is that James Stewarts' performance struck down to a very deep part of the soul. Now that I am past the flush of youth, I have to say that, IMHO, VERTIGO remains Hitchcock's greatest achievement. It isn't without flaws, but works of genius rarely are. At least, that's how I see it. Thanks for getting in touch. Vertigo is definitely one of his greatest. Maybe I've overindulged in it. I can't say how many times I've seen it, definitely more than I've ever seen any other film. I had the pre-restoration VHS from the 80's and I would show it to everyone I could, and watched it by myself even more than that. I still enjoy it immensely when I view it, but I can't watch it more than once a month. Also, I find that the restoration mixed Herrmann's score a little more foreground than in the previous version, and I find the original mix to be superior. Now, I can run North By Northwest, The Birds, and Marnie, any old time and as often as I want, same with Shadow of a Doubt. Definitely, Shadow of a Doubt was the greatest thing he had done up to that point. I realize he improved as an artist by 1958, and he was at the peak of his form with Vertigo. I believe he maintained that peak through Marnie. After that, he continued to be a great director, though pest his peak as an artist. Just saw Young and Innocent and think it's a very worthy followup to Sabotage. It also debuts the famous Notorious tracking shot. And thank you. John, for your thoughtful comments. It looks like you are a very close reader of Hitchcock's films. Have a great holiday!